Does the Easter bunny exist or not? That is the question! And I think our 9 year old son has been hedging his bets just like Santa Claus. 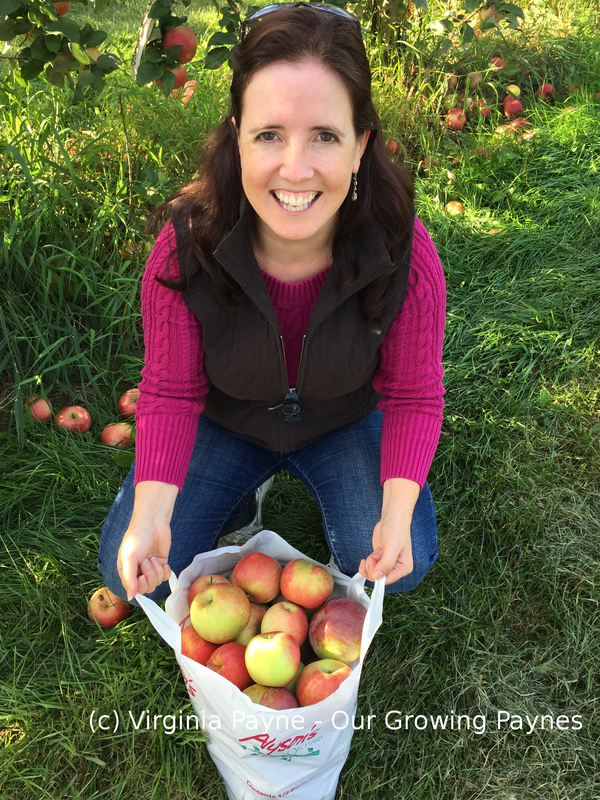 Every child goes through the transition wondering what the scoop is. Going from absolute belief to the realisation that the school yard gossip is right. And if you are the eldest like our daughter you have to go along with it all. To have some fun with the kids my husband suggested a scavenger hunt with the plastic eggs the kids have. We did up clues and placed the eggs round the house with them all leading to the chocolates. It was fun for all of us! In addition to the chocolates I wanted to make an after dinner treat and thought cupcakes would do the trick. 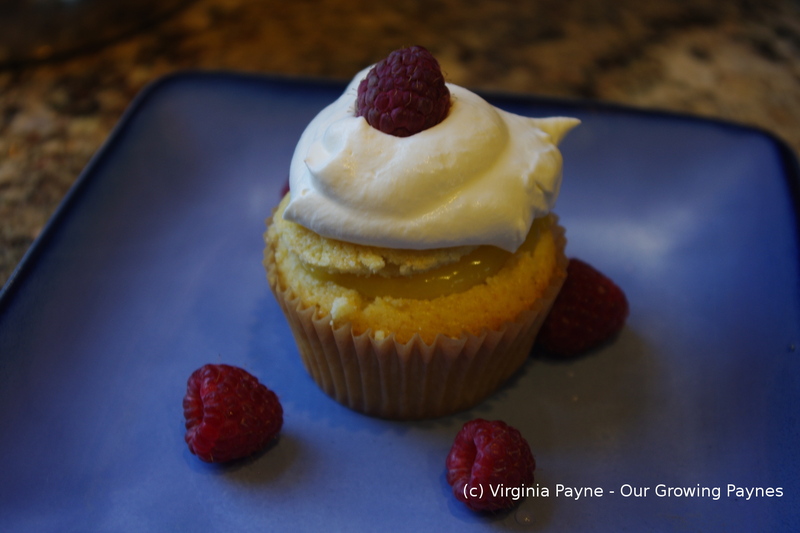 I had some raspberries and lemons so I knew I wanted to make some lemon curd and use the raspberries but I didn’t have buttermilk to make the lemon meringue cupcakes. I went through my cupcake pins to see what I could use as a substitute. Turned out to be harder than I thought it would be. Several required buttermilk and I was surprised at how many recipes called for box cake mix! I mean really, I don’t get that. That step is more expensive and it’s just as quick to make it from scratch. 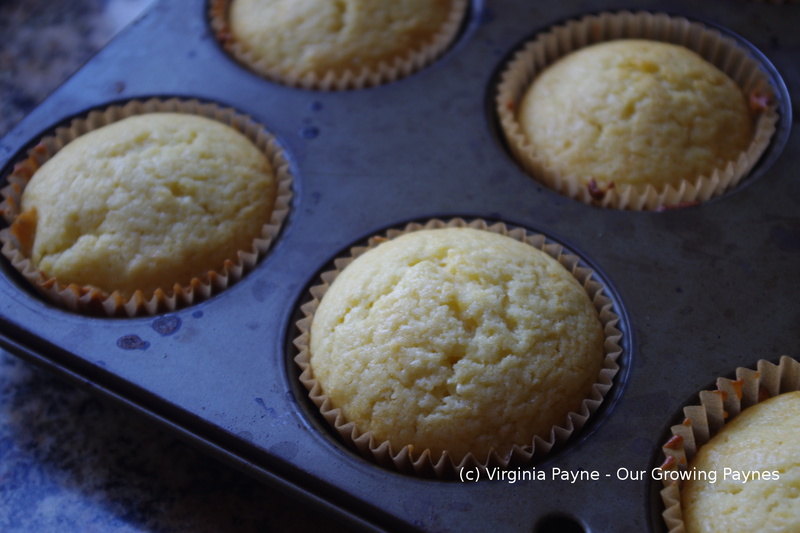 I found this recipe to use for the cupcakes and I only made a small change here and there. Which is bold for me when it comes to baking. I generally don’t mess with the recipes as there is a definite science to baking. But the cupcakes came out just fine. 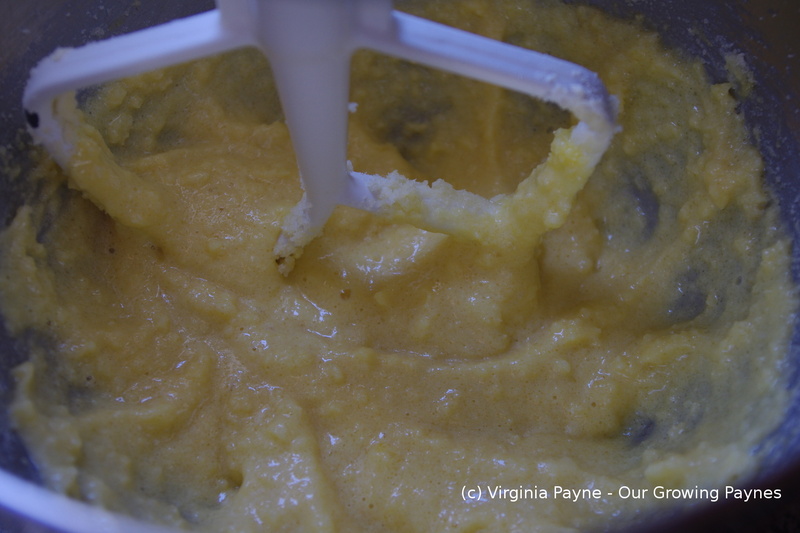 I did up the lemon curd several hours ahead of time so it had time to cool and set. Preheat the oven to 350F/175C. 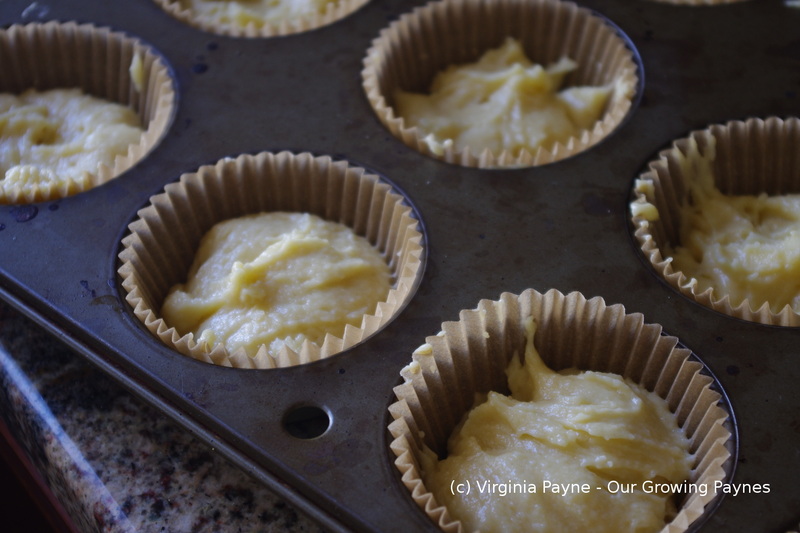 Line the muffin tins and this recipe makes 12 cupcakes. 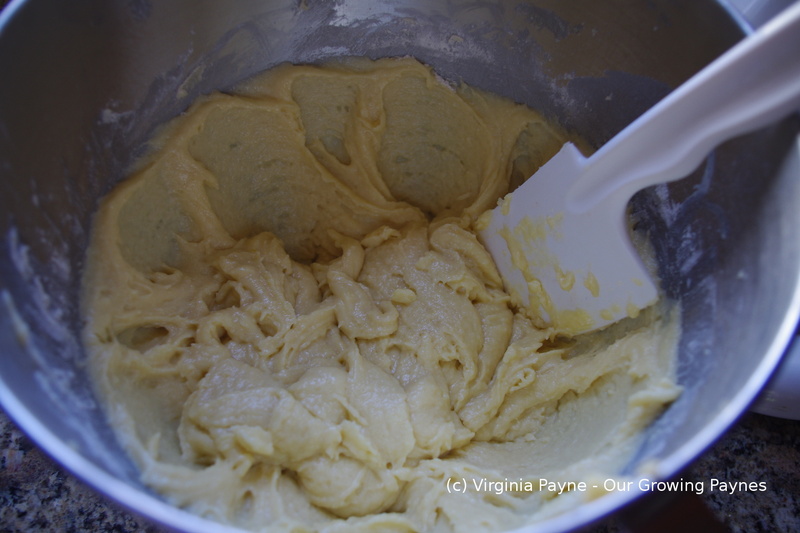 In the mixing bowl cream together 1/2 cup of butter and 3/4 cup of sugar. Add two eggs and 1 teaspoon of vanilla and mix well. Add 1/2 tsp of salt and 1 1/2 tsp of baking powder. The recipe calls for 1 1/2 cup of flour and 1/2 cup of milk. These two ingredients need to be added a 1/3 at a time, mixing well each time while scraping the sides of the bowl. Fill the liners 2/3 thirds full and bake for 20-25 minutes. Once they are cooled scoop out the top. Cut the pointy end off of the top so you can place it on top of the curd. Before filling with curd put a fresh raspberry into the cupcake. Fill in with the curd, put the top back on and dollop some fresh whipped cream on top. This entry was posted in Baking and tagged baking, cupcakes, dessert, food, lemon, lemon curd, raspberry, vegetarian, whipped cream. Bookmark the permalink. These sound delicious. I’m like you, I don’t change the science in baking. Sounds like it worked out for you though! 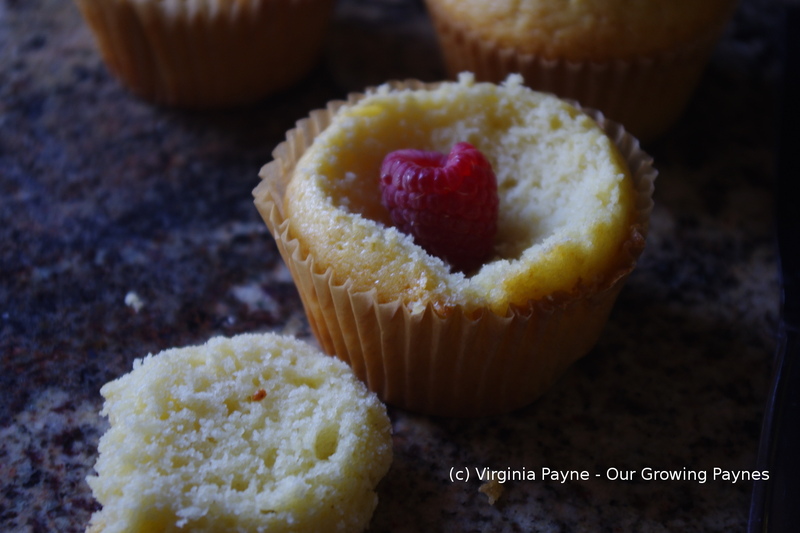 Nice lemon curd filling idea! Well the original recipe called for vegetable oil so I just doubled the butter instead. And the steps were different as well. Looks delicious! 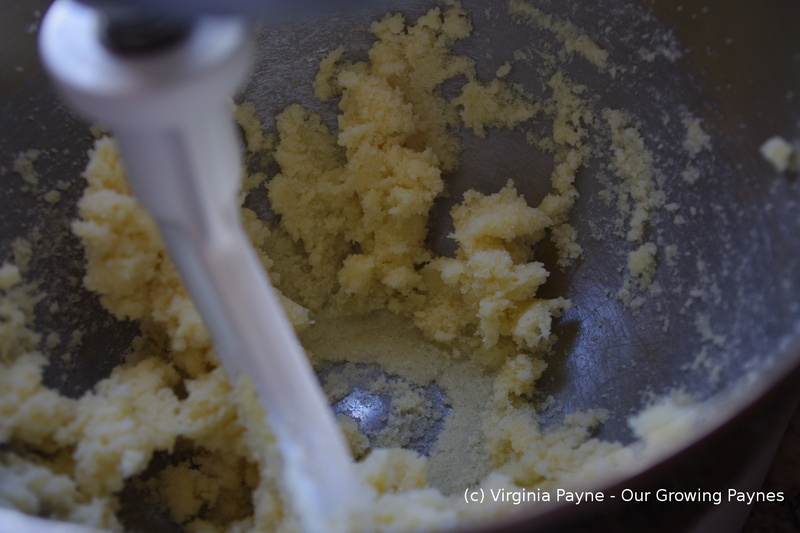 I’m always out of buttermilk and have found a tablespoon of vinegar to a cup of milk sours it enough to be a great substitute. OOOH that looks absolutely delicious. Love the idea with the hidden raspberry! What happy little cupcakes!! Perfect for a spring tea party. I’m inspired. Happy spring! !